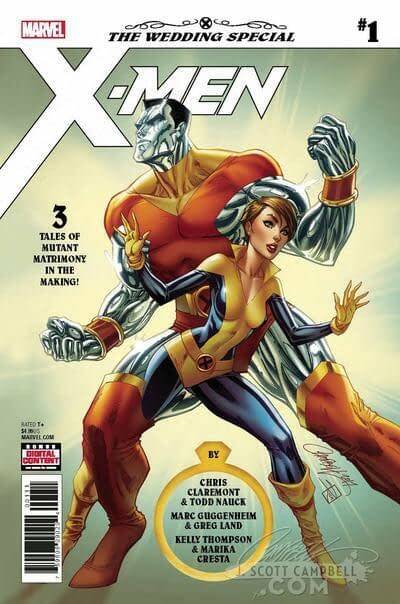 Watch out retailers, next week’s X-Men Gold #30, with the polybagged Classified variant cover by J Scott Campbell. The comic on the inside is $4.99. The price on the cover is $4.99. But the price on the opaque polybag, hiding the spoiler cover image from view, has $3.99 on it in error. • GUEST STARS GALORE IN THIS VERY SPECIAL MOMENT IN X-MEN HISTORY! This is not the cover, but it is another cover by the man. Rumour: G Willow Wilson on Wonder Woman? Who Has Control Of Stan Lee’s Twitter Account Now?